I have to ask you are buying most of the things new bonnet, fenders, even door panel, than why is the denter charging so much? Also if you are going to spend 30K on paint, may i suggest to add a bit more and get it baked paint in a heat chamber. 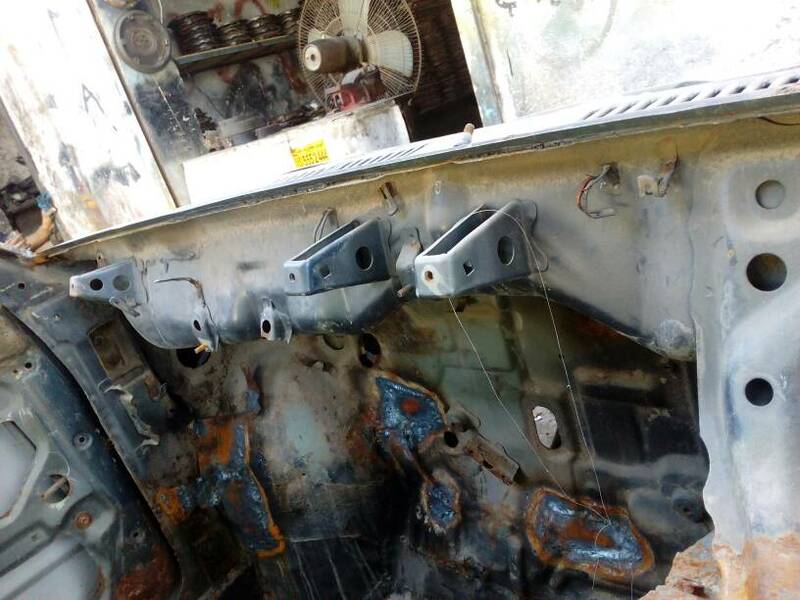 The didnt have rust, but it was molested in a way, that there was alot of puty on everything, and i only bought one door panel, rest are the same.. and firewall was pretty bad, left side of front was damaged, chassi damage, thats why its tht much, and i think a regular paint job would be okay SIKKENS will be used, inside out, and he just quoted me 30, will bring him around 25K or so, and Everything mechanical will be done by myself. Puty puty everywhere, :-\ this thing raised the cost, it was like applying puty without dent correction..
i think so Firewall been rusted and had holes due to which owner welded pieces. Please use a paint booth otherwise overall outcome wnt be that classy . Will look into tht, can u quote me for an overall paint job in a paint booth? Ic. So you understand the mechanical stuff? Thats great. Would like to meet you sometime. I have the same model charade with me. Had done most of the mechanical work but never completely to my satisfaction. The most annoying is the Kharka in the disks. They say there is a lock pin which is missing and i cant seem to find it in Lahore. I will also get it painted sometime this year but cant seem to makeup my mind from where to get it. There is too much chorbazaari and very few know how to paint the car well. 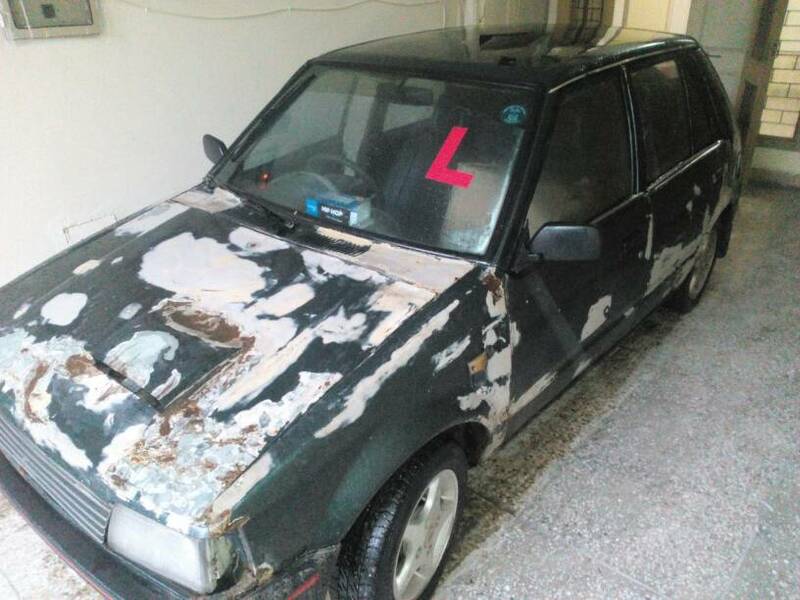 My cousin who also has a charade already got ripped with a pathetic paint job for his 84 Charade. Which is why i suggested you to maybe try and go for a baked paint as you are already putting too much effort in the car, the end result is where the satisfaction would lie. I am in Lahore brother but i know Islamabad very well. Spent my entire school and college life there. Yes i got the callipers opened and Kharida did put a bush inside costed around 200 for one side. The mechanic suggested to do the same for the left side as well. Will do that and see how quiet my ride becomes. Every time you get your open there are so many issues that even mechanics get tired say sir kal aya ga loll. Brother whats the update on your project? Are these OEM lights? Also can you share the price of these? Did you buy both front and back bumpers? How much did they cost? 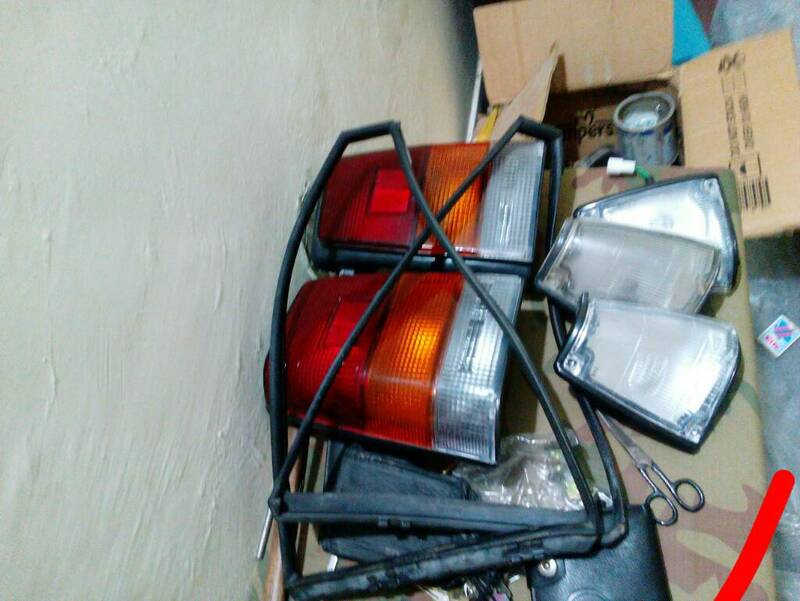 Yeah bro, these are OEM parts, quality id good, the bumpers are of 4000 each, i only bought the front one, tail lights are 3500, and pair of corner parking lights are for i think 1500 i dont remember the last figure correctly..